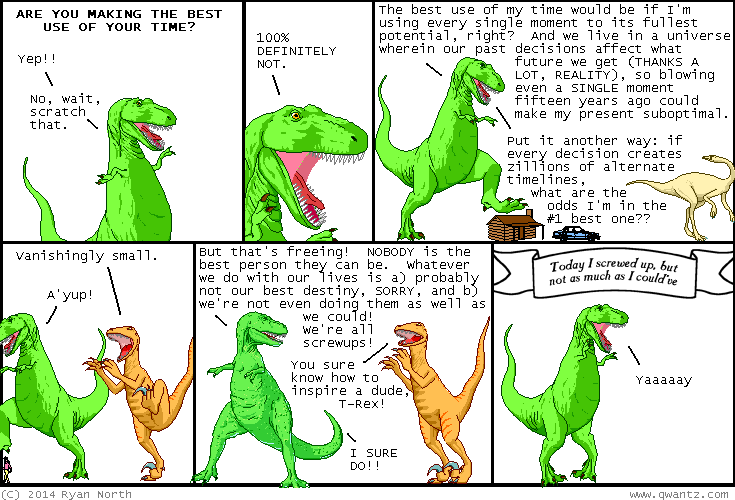 Dinosaur Comics - December 4th, 2014 - awesome fun times! Get this shirt in the DEPRESSING T-SHIRT CHALLENGE! One week only! December 4th, 2014: Sorry I didn't warn you this comic had magically flying banners in it and is therefore ULTIMATE CLASSY!!! Today is a shipping deadline so if you want RAD ITEMS at CONVENIENT TIMES, now is a great opportunity to check out the sweet items! !